What is the best brand for baby stroller? And.. would anyone consider buying a used one lightly pre-owned? I like the ones at Mon Beau Bebe but think they're asking too much ROI, and they have a no return policy. UPPAbaby Cruz - I think this is like #1 brand in America. It's reasonably priced and still strong but light weight. More expensive ones like Bugaboo or Stokke are nice, but Cruz does the job with less price tag. Cybex is nice also, but I liked Cruz more because of its light weight. 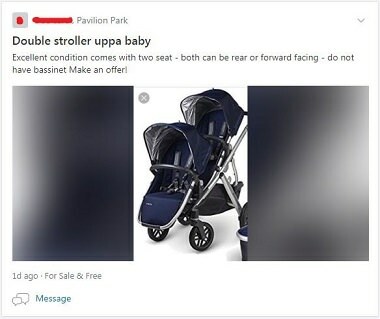 I wouldn't buy a used stroller unless it's something from a family member since you wouldn't know how dirty it was used. I've shopped from that baby store in WB. 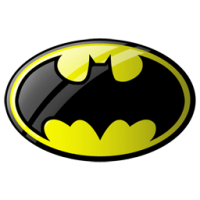 They do have almost everything you need and the price was not ripoff compare to other stores. I second uppababy. Light and strong/sturdy. This may sound like a joke but I'm curious, is there a brand that allows you to customize the wheels (rims). I'm sure there is, but not worth it. They are not gonna fit in your X5. Yeah, but cruz is cheaper and you don't really need that bassinet since your baby will grow fast. The uppababy g-luxe is good and around $200, that is a regular stroller. If you need the car seat combo then that’s a good one. Just make sure you do a quick price comparison on google. That $900 stroller can be found for cheaper on other sites. Are you having a baby soon? Congrats man! You are gonna lose so much sleep. Haha but still you will love it. Best is super subjective. It depends on what you want to use it for and how long you want it to last. Generally speaking...the more expensive strollers (Orbit, Uppa, Peg, and Bugaboo) are best for really young children (1 or under). They work well in urban settings and are really convenient for storing things and easy to navigate. They are however, super bulky and basically take up your entire trunk space. They are also next to impossible to travel with. The cheaper strollers are usually convenient for ease of use and portability. I would recommend you get one of the more expensive ones and then one of the cheaper umbrella strollers when the kid is about 1.5 to 2. We had the uppa baby vista. The bassinet is pretty useless unless you plan on doing a lot of walks with the baby as a newborn. I would probably just go with the Cruz. And in terms of ROI, I got about $400 for it when I sold it a few years later. Does the Cruz expand to handle more kids? We have 2 kids relatively close to each other in age and we're still using the Vista when we want to stroller 2 kids around, but when we go to Disney or traveling we normally ergo the younger one and use the G-Luxe umbrella for the older one when he gets tired of walking. You don't want to be taking the Vista on a plane, did it once and it sucked due to how big it is. How much should I offer this lady? I was thinking $80 bucks. Now your having twins? You really do have magicj1zz.